Peter McLeod has had a fly rod in his hand since he was seven years old, and has dedicated his life to the pursuit of different species on the fly. After working in the tackle industry during school holidays in his mid teens, he became a salmon fishing guide in Norway for Roxton Bailey Robinson until leaving university. Following a spell at Farlows of Pall Mall, he joined Frontiers International in February 2000 where he remained for the next five years. 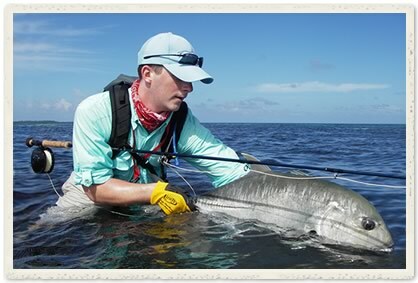 During the last 12 years he has fished extensively around the globe including Argentina, Belize, Mexico, Bahamas, Russia, Norway, Iceland, Costa Rica, Venezuela, Seychelles, Mozambique, Botswana, Zambia, Namibia and Cuba. His passion for fly fishing, tackle, techniques and overflowing enthusiasm for this sport will help you choose the perfect operation to suit your needs.